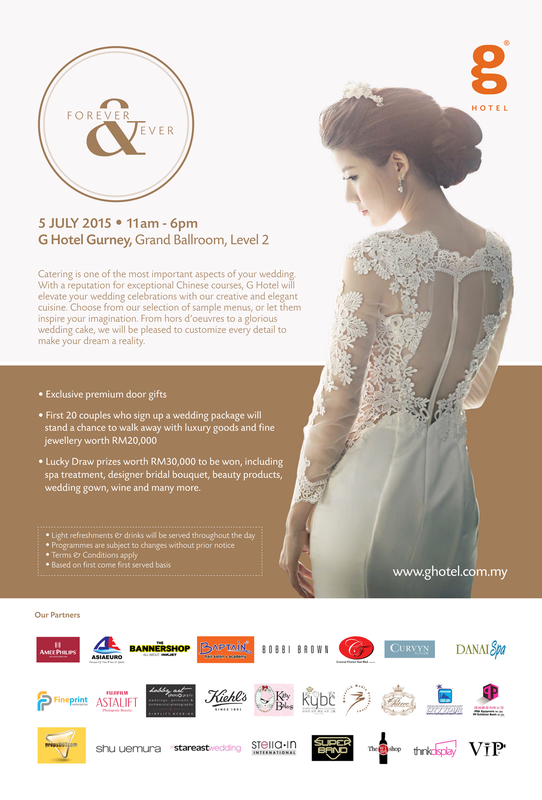 First 20 couples who sign up a wedding package will stand a chance to walk away with luxury goods and fine jewellery worth RM 20,000. Lucky Draw prizes worth RM 30,000 to be won, including spa treatment, designer bridal banquet, beauty products, wedding gown, wine and many more. Based on first come first served basis.